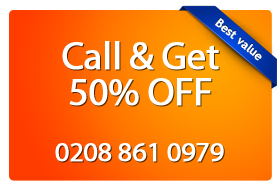 Magic Carpet Cleaning Company provides professional and affordable cleaning service for Bankside. Our professionals are trained and certified by National Carpet Cleaning Association and they are trying to deliver the best results possible, every time you book a service for your home or office. We are using the most recommended methods by the industry – dry powder cleaning and hot water extraction. Our staff is equipped with top-notch tools provided by the best manufacturers in the business. There is no too small or too big job for us. We can manage everything. We dust, mop, scrub, buff, vacuum and steam-clean carpets. Our team of experts use the latest techniques and biodegradable detergents to create a clean and germ-free environment for you. We strive to provide the best quality services which comply with the need of our most demanding clients. How To Find Us In Bankside? Call now on 0208 861 0979 for additional information. Our Friendly assistants are ready to help you with all the questions you have. You will get free price estimate. Feel free to use our booking form as well.